While UTT does not have an office in Utah nor do we spend a lot of time there, we are compelled to comment. Standing together or dialoging together if it is for reasons other than understanding the gospel of Jesus Christ according to the scriptures is fine. However, in this case the danger zone by standing and dialoging is a one way street. How about Glen Beck, a prominent Mormon being invited into what was once evangelical pulpit? How about saying that the Founding Fathers of the USA were Christians when they were Mormons and Jesuits? 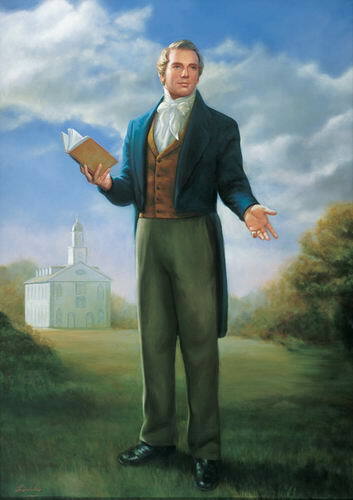 How about dialoging with religious leaders that have received their insight and faith from fallen angels and men like Joseph Smith, who was a Mason? As for UTT we will stand with Jesus and His Word, whatever the cost. This is a small price to pay. Mouw was quoted as saying during that address that evangelicals have often "seriously misrepresented the beliefs and practices of members of the LDS faith." Standing Together, an evangelical organization that seeks to unite Utah Christians through prayer, worship and outreach, is organizing the talk between evangelical and the LDS leaders. The ministry, which is also the host of the NAE board events, is known for building a relationship of understanding between evangelicals and Mormons and promoting positive theological dialogue between the two faiths. According to a 2007 Pew Forum survey, only 46 percent of white evangelical Protestants have a positive view of Mormons, compared to 62 percent of white mainline Protestants and 59 percent of white non-Hispanic Catholics.